They’ve got the big screen, now give them the big picture. It’s time to come out of the den and explore a few more rooms of the house. Heading to the living room—or anywhere there’s a big screen—is Steam’s soon-to-be-released big-picture mode, offering simple, easy-to-read navigation designed specifically for TV. With full controller support, big-picture mode will let gamers kick back and enjoy their favorite games on the biggest screen in the house. Steam’s big-picture mode doesn’t require any additional development from you. Just ensure your game works well with a controller, and we’ll take care of the rest. And don’t worry, keyboard and mouse aren’t going anywhere—users will be able to switch between input devices at any time. Why give up your games, your friends, and all that you love about Steam when you play games in the living room? With Big Picture, we’ve reformatted Steam for use with your TV and game controller, so you can enjoy your Steam games from the comfort of your couch. Grab your laptop and an HDMI cable, connect a dedicated PC to your TV, or just kick back in your dorm. Setup is easy. Pick up your game controller or liberate your keyboard and mouse - the choice is yours. Big Picture, paired with your controller, makes for a powerful match. 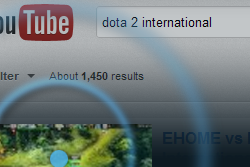 You can navigate Steam, surf the web, and even chat. Oh, and play games too. Browse or search the entire catalog of Steam games, videos, demos. Catch up on the latest releases, top sellers, and grab the daily deal while it’s hot. Your collection of Steam games represents your investment. Time to reap your rewards with Steam in the living room. Everyone’s here. Whether they’re on a PC, a Mac, a mobile device or a sofa, all your friends are now in your living room, ready to join your game or just chat. QWERTY is for keyboards. Daisywheel is for controllers. 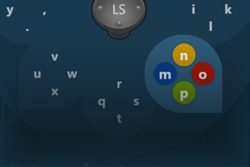 Now surfing and chatting are easy with your thumbs, a controller, and Daisywheel, Big Picture’s new tool for typing. Watch for updates as we continue to build and refine Big Picture. Share your feedback as the features develop. 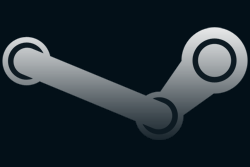 PC users, opt into the Steam Beta Update, then click BIG PICTURE to give it a try.